This privacy notice provides you with details of how I collect and process your personal data through your use of my site smallandmighty.co, instagramforbusiness.co.uk and smallandmighty.thinkific.com including any information you may provide through my site when you purchase a product or service, sign up to my newsletter or take part in a prize draw or competition. I, Samantha Burgess, am the data controller and am responsible for your personal data (referred to as “I” and “my” in this privacy notice). Full name of legal entity: Social Mouth Ltd t/a Small and Mighty Co. It is very important that the information I hold about you is accurate and up to date. Please let me know if at any time your personal information changes by emailing me at sam@smallandmighty.co. - Identity Data may include your first name, maiden name, last name, username, marital status, title, date of birth and gender. - Contact Data may include your billing address, delivery address, email address and telephone numbers. - Financial Data may include your bank account and payment card details. - Transaction Data may include details about payments between me and other details of purchases made by you. - Profile Data may include your username and password, purchases or orders, your interests, preferences, feedback and survey responses. - Usage Data may include information about how you use this site, products and services. - Marketing and Communications Data may include your preferences in receiving marketing communications from me and my third parties and your communication preferences. - Where I need to perform the contract between me. - Where it is necessary for my legitimate interests (or those of a third party) and your interests and fundamental rights do not override those interests. - Where I need to comply with a legal or regulatory obligation. Generally, I do not rely on consent as a legal ground for processing your personal data, other than in relation to sending marketing communications to you via email. 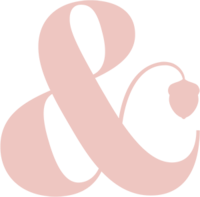 You have the right to withdraw consent to marketing at any time by emailing me at sam@smallandmighty.co or by clicking the ‘manage my preferences’ link within the footer of any of my marketing emails. I may process your personal data for more than one lawful ground, depending on the specific purpose for which I am using your data. Please email me at sam@smallandmighty.co if you need details about the specific legal ground I am relying on to process your personal data where more than one ground has been set out in the table below. - Outsourced team members, including virtual assistants and website designers. - Third parties to whom I may sell, transfer or merge parts of my business or my assets. - Applications and tools that I use to run my business: these change regularly and as such are not listed here. Please email me at sam@smallandmighty.co if you require details of these. - Where I use providers based in the United States, I may transfer data to them if they are part of the EU-US Privacy Shield which requires them to provide similar protection to personal data shared between Europe and the US. Please email me at sam@smallandmighty.co if you want further information on the specific mechanism used by me when transferring your personal data out of the EEA. I have put in place appropriate security measures to prevent your personal data from being accidentally lost, used or accessed in an unauthorised way, altered or disclosed. In addition, I limit access to your personal data to those employees, agents, contractors and other third parties who have a business need to know such data. They will only process your personal data on my instruction and they are subject to a duty of confidentiality. 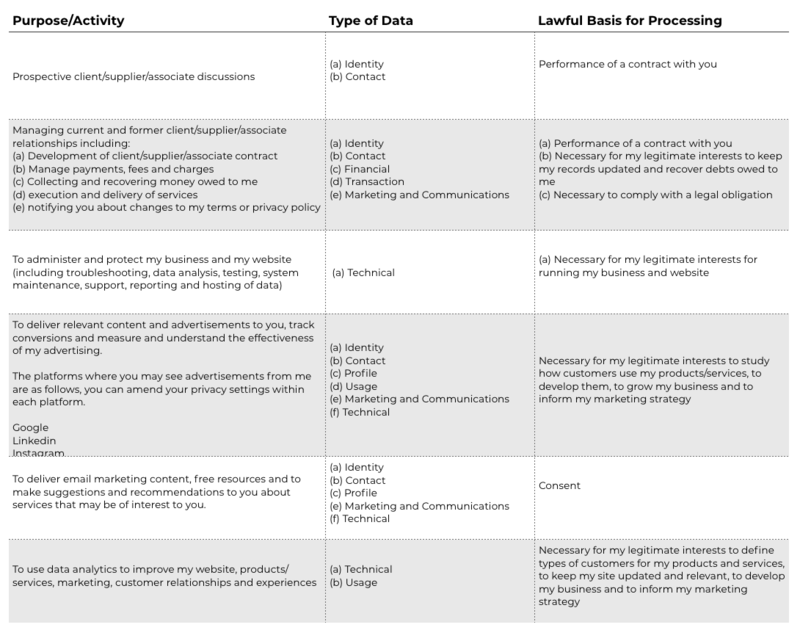 To determine the appropriate retention period for personal data, ie consider the amount, nature, and sensitivity of the personal data, the potential risk of harm from unauthorised use or disclosure of your personal data, the purposes for which I process your personal data and whether I can achieve those purposes through other means, and the applicable legal requirements. By law, I have to keep basic information about my customers (including Contact, Identity, Financial and Transaction Data) for six years after they cease being customers for tax purposes.